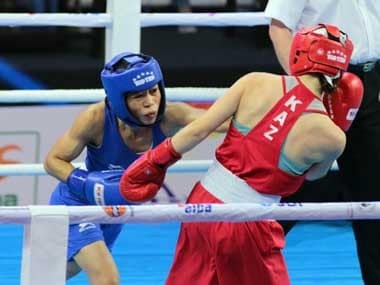 New Delhi: Young Indian boxer Manisha Moun sent reigning world champion Dina Zhalaman of Kazakhstan packing with another authoritative win in the 54kg category to place herself a step away from grabbing a maiden medal in the AIBA Women's World Championships. Meanwhile, MC Mary Kom stormed into the 48kg quarter-final with a win over Aigerim Kessenayeva. 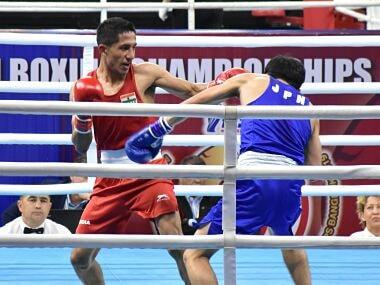 Two other Indians, Lovlina Borgohain (69kg) and Kachari Bhagyabati (81kg), also made it to the quarter-finals with 5-0 and 4-1 wins on points in their respective pre quarter-final bouts. Mary Kom is currently tied with Katie Taylor of Ireland on five gold in the World Championships. The 35-year-old Manipuri, a mother of three, won a silver in the first edition and then went on to win five gold in successive World Championships from 2002 to 2010. "Anything can happen in a boxing bout. 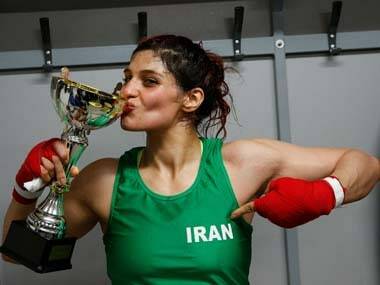 The country and the fans want a gold from me and I will give my best and try to win a gold," she said after winning the bout 5-0 in the capital. "There was a bit of pressure as it was my first bout of the tournament. I have been handling the pressure of expectation from the people of my country for the last 16 years and I have happy to face this pressure. In the initial years, it was a bit tough to handle this pressure but now I am used to it," said the Olympic bronze medallist. The 20-year-old Manisha won a 5-0 unanimous verdict against her more experienced rival in a pre quarter-final bout in her maiden World Championships. 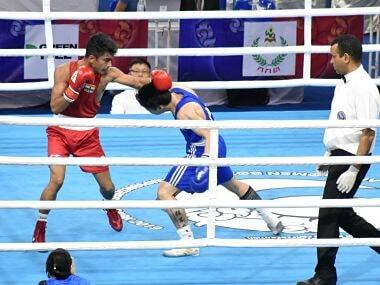 This was the second win for the Haryana boxer against Zholaman, having beaten the Kazakh boxer in the Silesian Women's Boxing Championship in Poland earlier this year. In the quarter-finals, Manisha faces top seed and 2016 World Championships silver medallist Stoyka Petrova of Bulgaria. "For me, once I am inside the ring it does not matter whether my opponent is a world champion or a silver medallist. I play my game and do what the coaches told me. So, my approach will be the same in my next bout also," she said. "Like in my first bout, I played from a distance but I played faster and more aggressive. It was a good bout," she added. The 21-year-old Assamese next faces Scott Kaye Frances of Australia in the quarter-finals on Tuesday. "It was a tough fight for me. My opponent was tall and strong also. The fitness regime we had at the national camp helped me. I am happy to have won my first World Championships bout," she said. "My next opponent from Australia, I had done some sparring and I know something about her. I hope to win my next bout," added Borgohain. 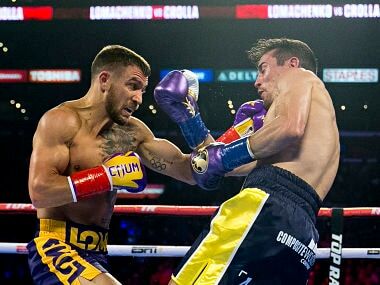 "My opponent was taller than me and so the coaches had told me to keep it low. If I had tried to hit high it would have exposed me and I may have received punches. My strategy paid off," she said.